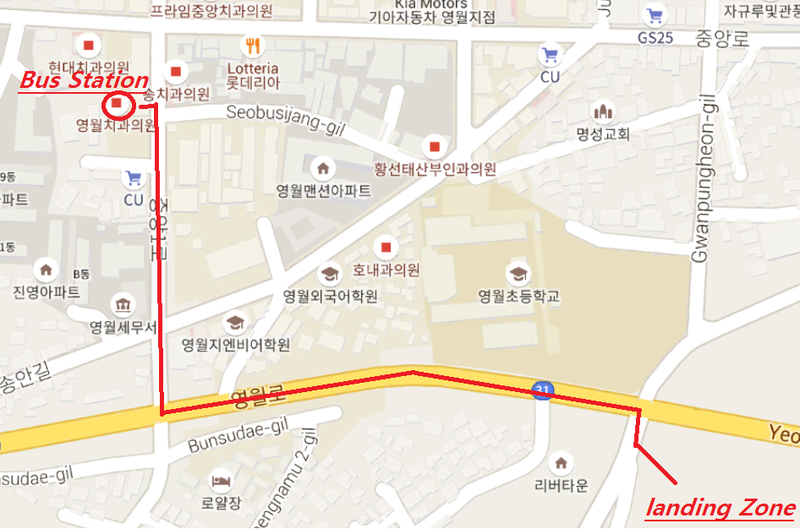 From Seoul: Go to the Subway station called "Gangbyeon". 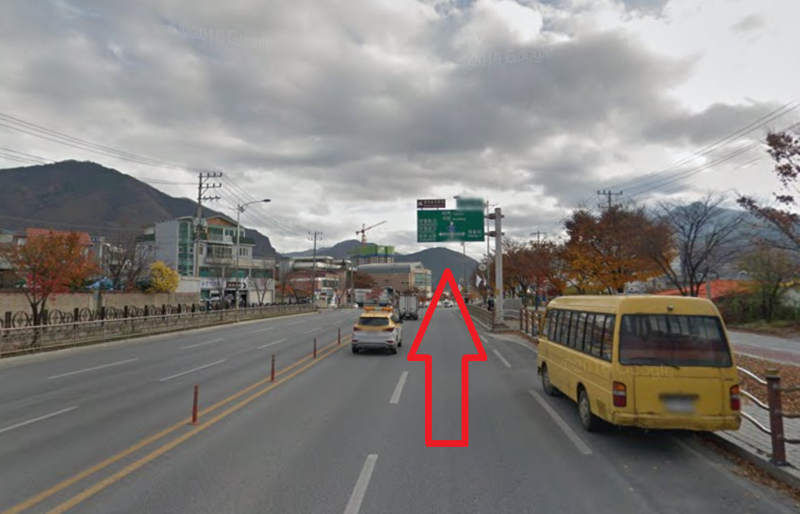 Go out exit 3 and cross the street. You will enter the large building called "Dong Seoul". 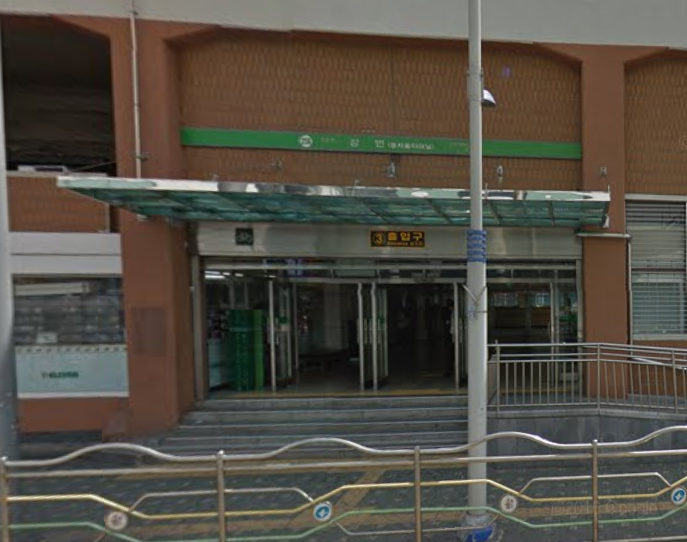 Walk into this building and buy your ticket to Yeongwol. The tickets cost 14,500 won. Tickets almost never sell out (except on holidays). We recommend taking the 8:30 a.m. bus on weekends, and the 10:30 a.m. bus on weekdays. Make sure you arrive early. 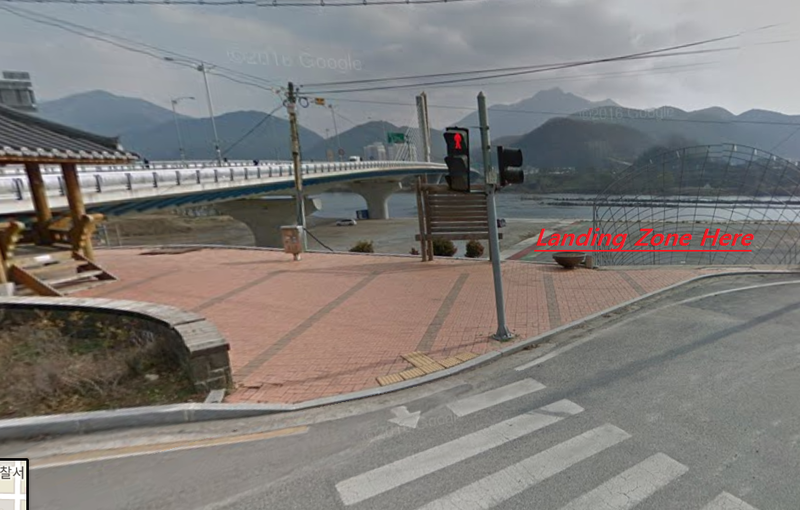 When you reach Yeongwol, one of our pilots will be there to pick you up. The bus ride is around 2 hours and 10 minutes. Walk into this building and buy your ticket. 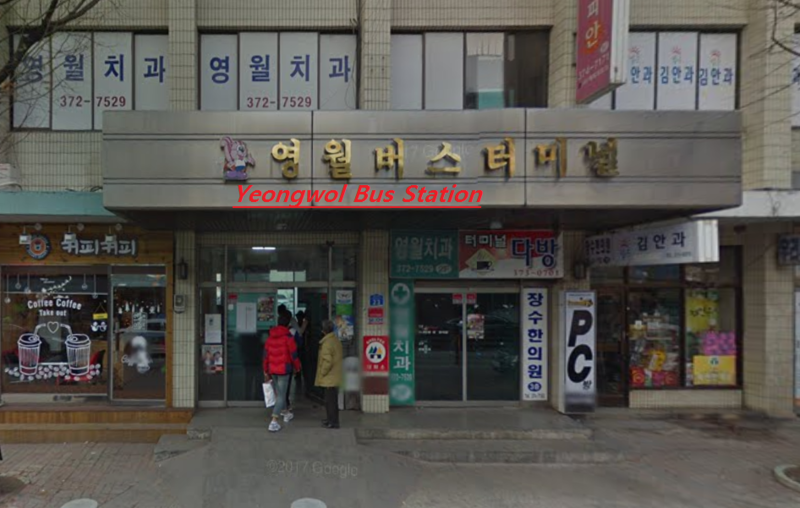 Where to meet us: One of our pilots will pick you up at the bus station in Yeongwol. If for some reason we are already flying when you arrive, you can also walk for 10 minutes over to the landing site. Walking directions are shown below. If you get confused, just look up and see where the pilots are landing. Walk out of the station and turn right. 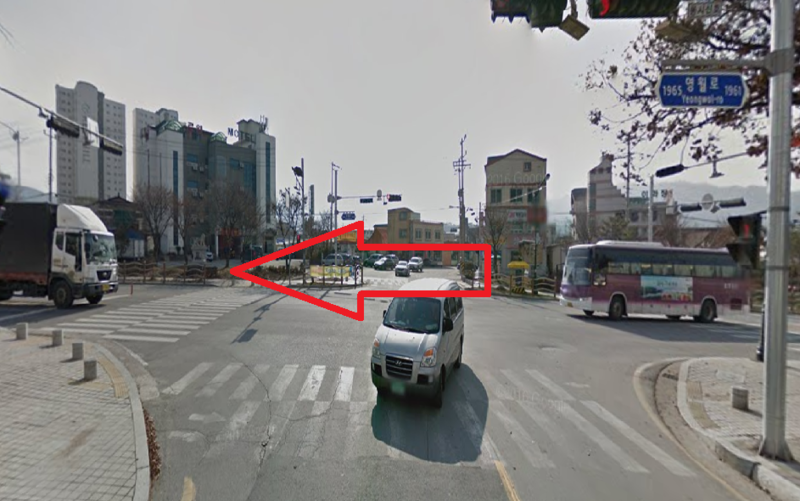 Walk straight until you get to the major intersection. Walk down to the landing zone. 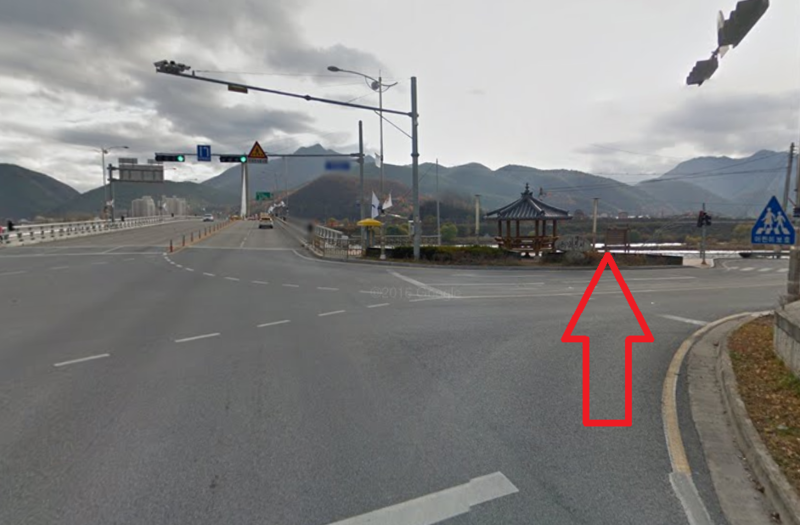 Yeongwol: Yeongwol is located in the Gangwon province of Korea. It has some of the highest tandem flights in Korea. Cancellations are rare due to having multiple takeoff locations. 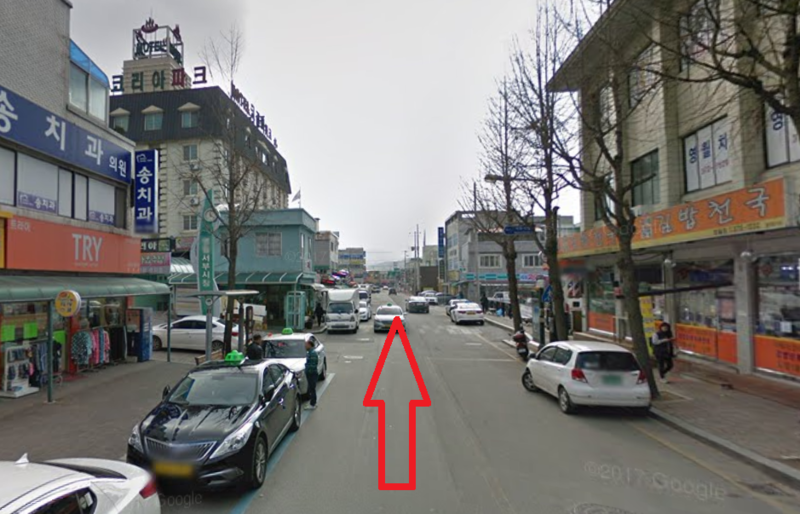 Below is a video and pictures of flying in Yeongwol.